Nightwoods, set in Appalachia fifty years ago, is not big on plot. Instead the story alternates between hope and a sense of impending menace in the North Carolina woods with some very unusual characters. Luce is the caretaker for an old lodge an hour by car from the town across the lake where she grew up. She inherits twins when her sister Lily is killed. Dolores and Frank like fire but won’t talk, providing her with an interesting challenge. The new owner of the lodge comes to town, as does the twins’ stepfather Bud, who hopes to get his hands on money his wife may have left. Bud stays clear of Luce, but unexpectedly tangles with her father, who is only slightly less of a hazard than Bud. Very atmospheric, with memorable characters. 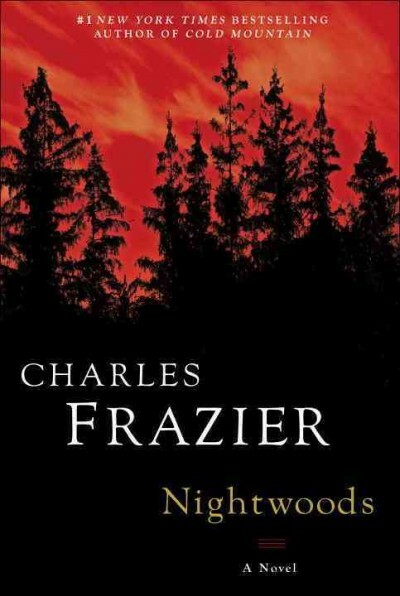 Frazier is the author of Cold Mountain and Thirteen Moons.